Moskitos - Connect to Innovate And Accelerate Your Move to The Cloud ! Moskitos is the software vendor of Crosscut®, integration and governance platform for Data and APIs to modernize your information system. Crosscut®, the new generation Data Platform, is the keystone between the needs of businesses for transformation and innovation and the existing constraints. Moskitos is the only European publisher to provide a comprehensive enterprise platform that can expose, orchestrate and supervise APIs and data within the extended information system. 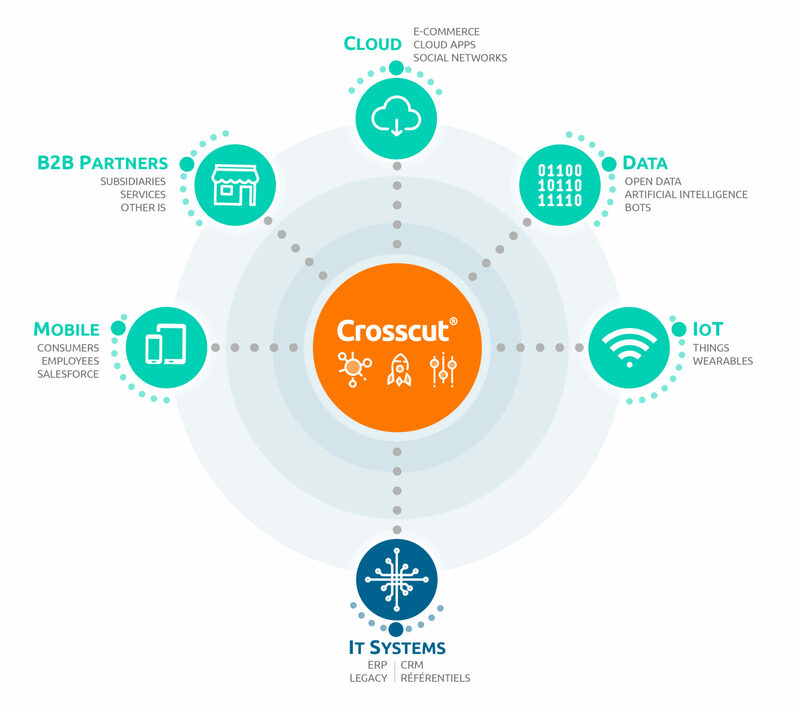 Crosscut® gives companies the means to connect applications, devices, IoT, Cloud services and B2B partners by quickly deploying a secure platform that is easy to implement and learn. Companies can then focus on what is really important: innovation in their enterprise process management, the relationship with consumers and their products and services offers. Crosscut® is an agile platform hosted entirely in the Cloud that enables you to have the first data flows up and running within 6 weeks. In allowing partners, customers and suppliers to connect to the data, business services and processes, the API consists of a universal way to open its information system.